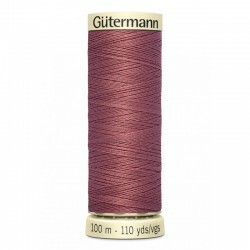 Threads available in the shop. Threads There are 240 products. Gütermann sewing thread purple, number 716, for all sewing. 100% polyester Wash 95°c in washing machine with similar colors Do not bleach Sold by 100 m spool. Gütermann sewing thread pink, number 658, for all sewing. 100% polyester Wash 95°c in washing machine with similar colors Do not bleach Sold by 100 m spool. Gütermann sewing thread pink, number 519, for all sewing. 100% polyester Wash 95°c in washing machine with similar colors Do not bleach Sold by 100 m spool. Gütermann sewing thread purple, number 517, for all sewing. 100% polyester Wash 95°c in washing machine with similar colors Do not bleach Sold by 100 m spool. Gütermann sewing thread pink, number 474, for all sewing. 100% polyester Wash 95°c in washing machine with similar colors Do not bleach Sold by 100 m spool. 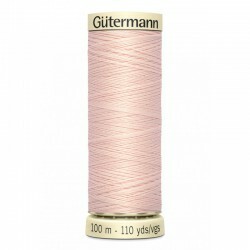 Gütermann sewing thread pink, number 461, for all sewing. 100% polyester Wash 95°c in washing machine with similar colors Do not bleach Sold by 100 m spool.